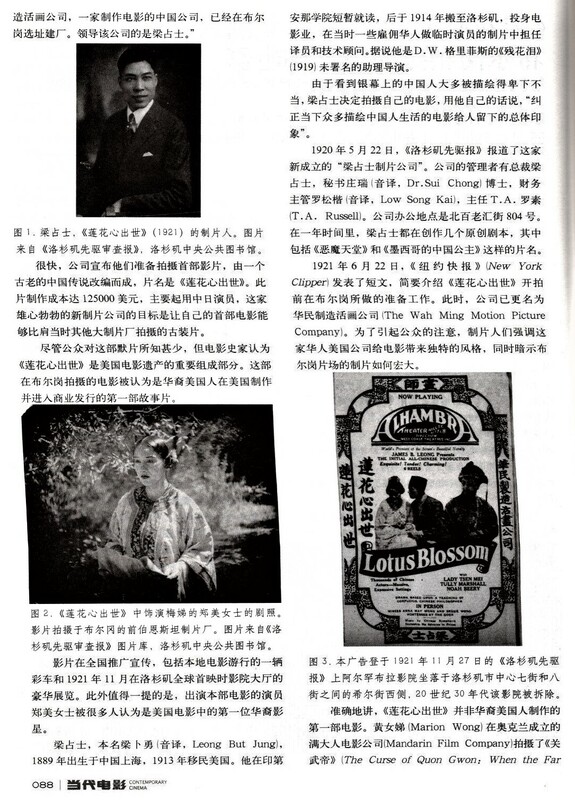 Boyle Heights Historical Society Advisory Board member and frequent contributor to this blog, Rudy Martinez, put together a fascinating multi-part post a little over two years ago on the 1920s silent film Lotus Blossom, the first Chinese-American movie and which was filmed in Boyle Heights. After Rudy's post was published, contact was made by Dr. Ramona Curry, an assistant professor of English at the University of Illinois and arrangements were made for Professor Curry to give a talk on the film's star, Lady Tsen-Mai (Josephine Moy) at the Workman and Temple Family Homestead Museum in the City of Industry, whose director, Paul R. Spitzzeri, edited the blog post and made the contact with Dr. Curry. That lecture was given a year ago this week and one of the accidental outgrowths of setting the event up is that contact was made with a student at U.C.L.A. whose mother is a film scholar in China. 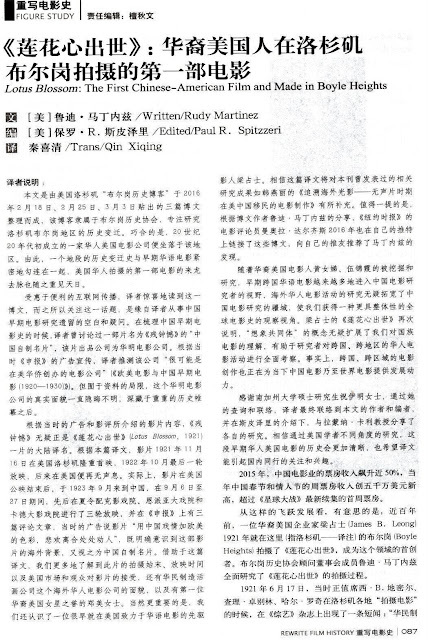 Though Professor Qin Xiping could not come out for Professor Curry's talk, she did arrange for a translation of Rudy's excellent post in the 5 October 2018 issue of the journal Contemporary Cinema, produced by the China Film Art Research Center of the Communication University of China. Professor Qin sent copies of the journal to Rudy recently and a couple of scans from the article are shown here. It is really great that this happy accident transpired, so that the story of the first Chinese-American film and its making in Boyle Heights was shared, through the efforts of Professor Qin with readers of the journal across the Pacific.